Rollers that save YOU money. Using Abbey Rollers on your conveyors avoids expensive maintenance shutdowns, loss of production and belt damage – The most cost effective rollers that save YOU money. All Abbey Rollers are manufactured to the Abbey patented design and construction. The construction of an Abbey Roller does not involve any heating of the pipe by welding on a stamped end cover as is the case with your existing rollers. On your existing rollers the bearings are located outside the roller in the stamped end cover which is then covered by a sealing arrangement to attempt to protect the vulnerable bearing. Abbey Rollers construction and design does not compare in any way with this arrangement. All Abbey Rollers are manufactured using a 28mm thick cast iron end cover and not a 4mm thick end stamping. All our castings are machined automatically and precision bored to fit perfectly the bore of the pipe and create an external groove. This is done in one machine setting and creates a bore to receive a bearing and seal and a through bore to allow the shaft a minimum clearance to pass through. Within the counter bore we fit a double lip seal. We then fit a 2RS C3 double rubber sealed for life bearing into it’s machined bore. Therefore, instead of having vulnerable bearings located outside the roller we have our bearings properly seated behind the seal inside the casting. We therefore, create the best possible environment for the bearings to operate thus delivering long life and durability reducing your maintenance and shutdowns. We do not use cir clips – ever. We use oversized shafts which are larger than the bearing bore size and then we machine these shafts to suit the bearing bore sizes. 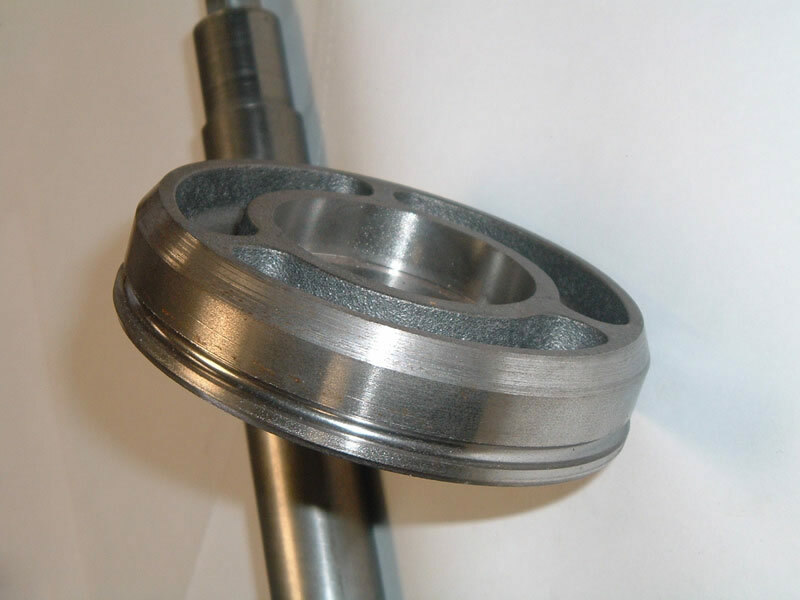 Both ends of the shafts are machined to very tight tolerances to receive the bearing and seal. As a consequence, after the roller is assembled the bearings are properly supported on the inside on the machined shaft between the shoulders and on the outside by the machined cast iron end covers. 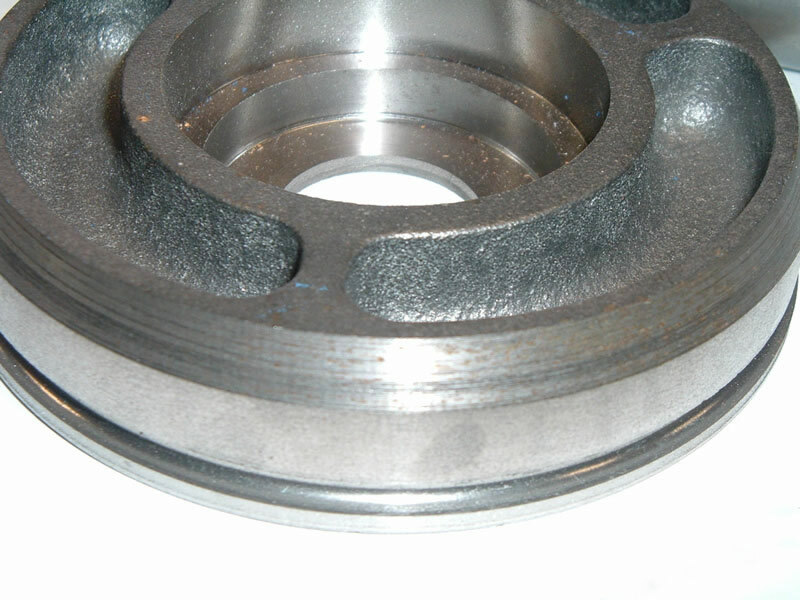 The bearing is therefore securely located and has maximum support and protection. Assembling the roller we insert the machined shaft through the bore of the pipe fit one end cover at each end which have bearings, seals and grease protection fitted. We then hydraulically drive the end covers into the pipe bore and as the machining of the outside diameter of the end cover is size for size with the bore of the pipe the end cover actually makes the pipe perfectly circular. The pipe is then crimped by a cold process into the groove already machined on the outside of the end cover. This seals the roller and prevents outside contamination. This is a unique process to Abbey Rollers and eliminates welding on of stampings and any distortion that results from heat. Because the castings are machined in one machine setting they are perfectly true. 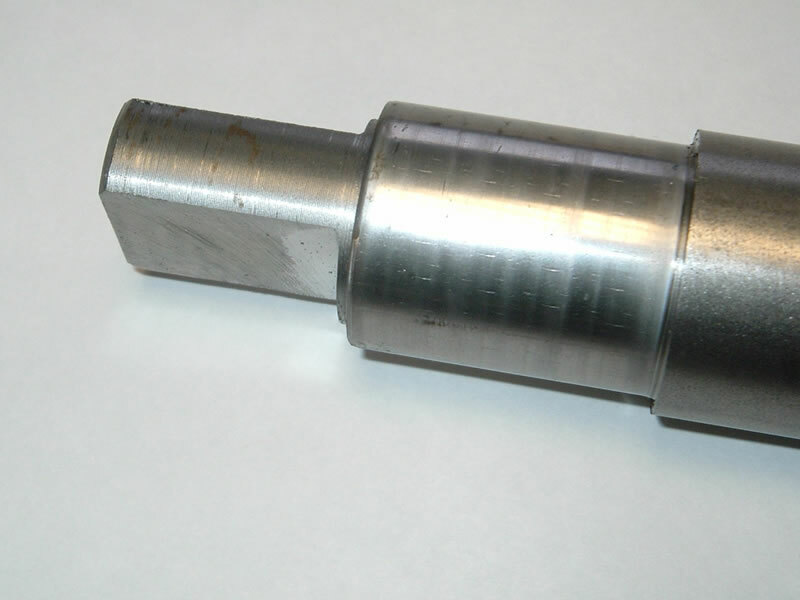 The bearings are mounted on a machined shaft and the pipe is corrected by the tight fitting end covers. Therefore, the roller is running true off the spindle and the quality of the bearing, a 2RS C3 deep groove bearing is protected inside the roller.